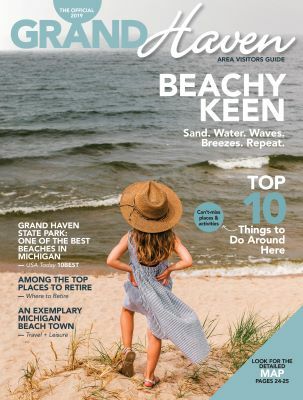 Get Your Copy of the Grand Haven Area Visitors Guide! The 2019 Visitors Guide is now available! If you have submitted a guide request between January 1st – March 18th, you will automatically receive the 2019 guide even if you have already received the 2018 guide. To receive a printed copy, please fill out our handy request form below, and we will mail you a guide in 10-15 days. If you would like it sooner, please call 616.842.4499 and you can receive your guide in a few days.